Description: Malika stands at a Road block, because of her documents she is not able to leave the military zone, Malika lost her son during the war and tries to meet with other woman who had the same experience. Since a few month's things have chanced, because Russian pressure forced the Georgian Government to take steps with Russia's assistance. 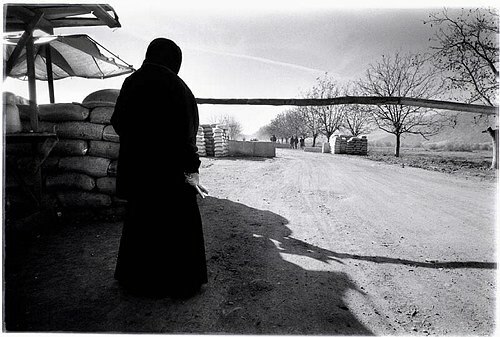 After this decision life has totally changed for the remaining Chechens, many fighters have left into Chechnya, others hide and the thousands of refugees from Chechnya who are still there, experience the Russian/Georgian cooperation the hard way, but with remarkable strength they live on. Georgian locals are close with Chechen culture and don't want to cooperate with Russian secret police, who they see as their common enemy, but the many soldiers from Tbilisi are in control of the area.